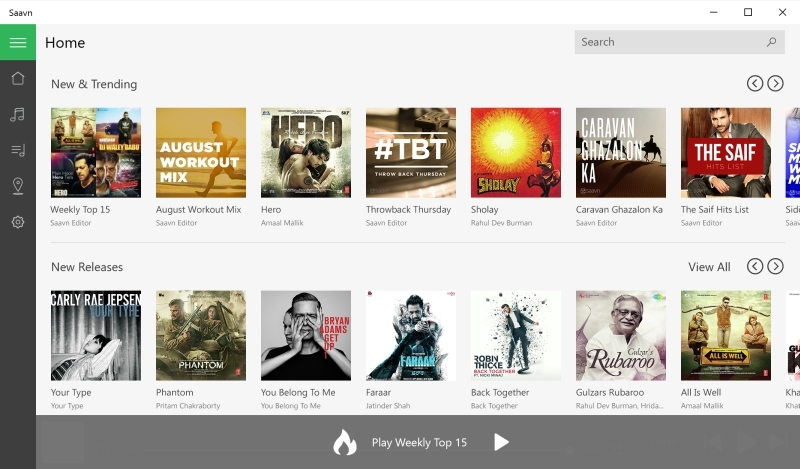 Music streaming service Saavn on Thursday announced the launch of its application for Windows 10. Mahesh Narayanan, Global Chief Operating Officer for Saavn, says that it has around 17 million monthly active users worldwide, and that the company expects this number to rise significantly with the Saavn app for Windows 10. "Windows is still the leader on the desktop space, and we will now have a much larger audience," says Narayanan. "And with Windows 10, we're able to provide the exact same experience on the phone, the desktop, and the tablet - whatever device you have, you'll get a consistent experience with just one app." At the launch, the company demonstrated the app running on different Windows 10 devices - on laptops, tablets, and also, a mobile phone version running on a beta version of Windows 10 mobile. Harish Vaidyanathan, Director - ISV Business, Microsoft Corporation of India showed us how the app has the same features on mobile as well as on the PC, by virtue of being a Windows universal app. He says that this reflects Microsoft's new version of mobillity. "When we think of mobility, we don't think about devices, we think about experiences," says Vaidyanathan. "So I've been listening to AC/DC on loop at home, and then I get into my car and the Saavn app there keeps playing the same song." This echoes what Narayanan says about consistent experiences across devices, and he says this is why the company waited for Windows 10, instead of first releasing a Windows Phone 8.1 app. 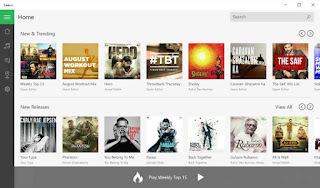 The new release already has most of Saavn's features, along with some platform specific ones such as live tiles; Vaidyanathan also hints that once Cortana is launched for India, it could possibly integrate with apps such as Saavn. "I'm not promising anything, but we're working on getting Cortana working with Indian English, and once that's done, there are going to be some very interesting things," he says. "And it won't be a robotic woman talking to you, saying, 'I don't understand Afghan Jalebi'; Cortana will know that you're talking about a popular Indian song." Narayanan also talked about the growing importance of audio streaming, and says that with Apple and Google now making a concerted effort in the music market, "it's a big opportunity to grow the size of the pie", and bring in more paying customers. "Smartphone sales are booming and we have seen similar trends in our user base, and this will only grow as more people come online," he says. We are searching for the mobile app development company for our new projects. We have limited budget for these projects.